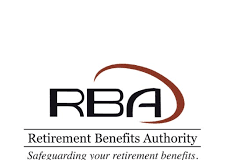 The Retirement Benefits Authority (RBA) is established under the Retirements Benefits Act No. 3 of 1997 as a body corporate with the core statutory mandate to: regulate and supervise the establishment and management of retirement benefits schemes; protect the interests of members and sponsors of retirement benefits sector; promote the development of the retirement benefits sector; and to advise the Cabinet Secretary on the national policy to be followed with regard to retirement benefits schemes and to implement all Government policies relating thereto. The objective of the RBA Youth Internship program is to provide the youth with an opportunity for on-the job experience and to develop their ability to successfully take up employment opportunities in the financial services sector and related fields. The Authority therefore invites suitably qualified and interested candidates from Universities and Colleges to apply for industrial attachment and Internship for a period of three (3) months.